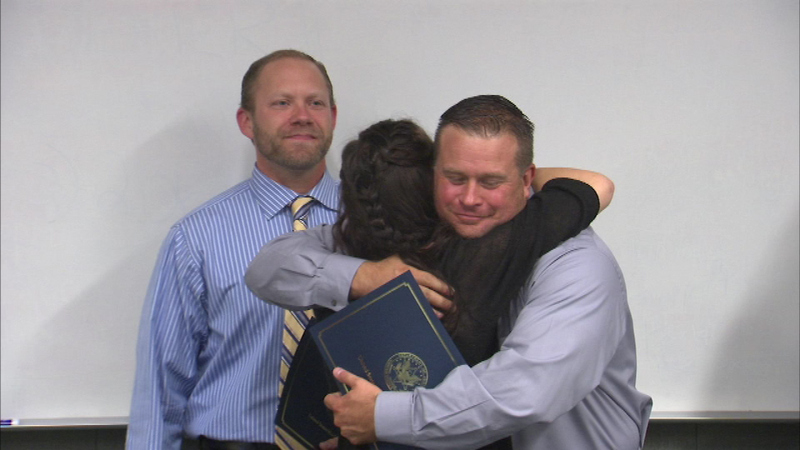 Police officers who saved a teenage girl from drowning in Aurora were honored Wednesday. AURORA, Ill. (WLS) -- Police officers who saved a teenage girl from drowning in Aurora were honored Wednesday. Anne Prosser spent 25 minutes underwater after the car she was in went into a pond in 2013. The U.S. Marshal's office honored the officers with the Law Enforcement Officer of the Year Award. Prosser once again thanked those who saved her life. "Very grateful for what they did. They're amazing people, not just because of what they did, but, just in general," Prosser said. Rescuers said Prosser wasn't breathing and was clinically dead when they pulled her out of the pond.